Pikkarainen has worked as a chief scientist at VTT, but also as a business developer at EIT Digital and at the Institute Mines Telecom in Paris. Moreover, she has been employed by Sirris, the Irish Software Engineering Research Centre in Ireland. She has served as the joint connected health research professor from 2015, involving the Business School and the Faculty of Medicine of the University of Oulu and VTT. 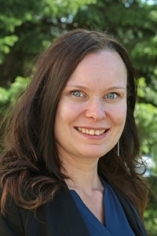 Pikkarainen is interested in and her research addresses how business ecosystems and models develop through co-creation of connected health solutions based on digital data. She has planned, managed and taken part in many domestic and international projects, as well as published research results on software development, innovation and digital solutions and services.